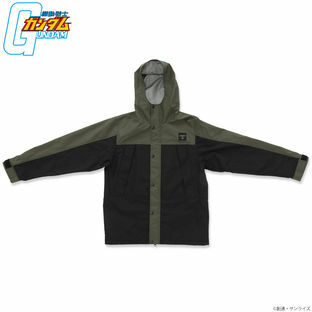 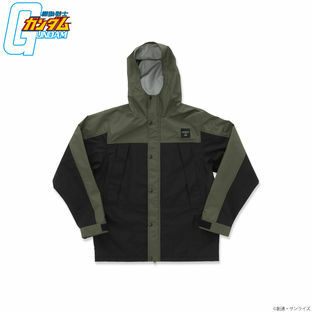 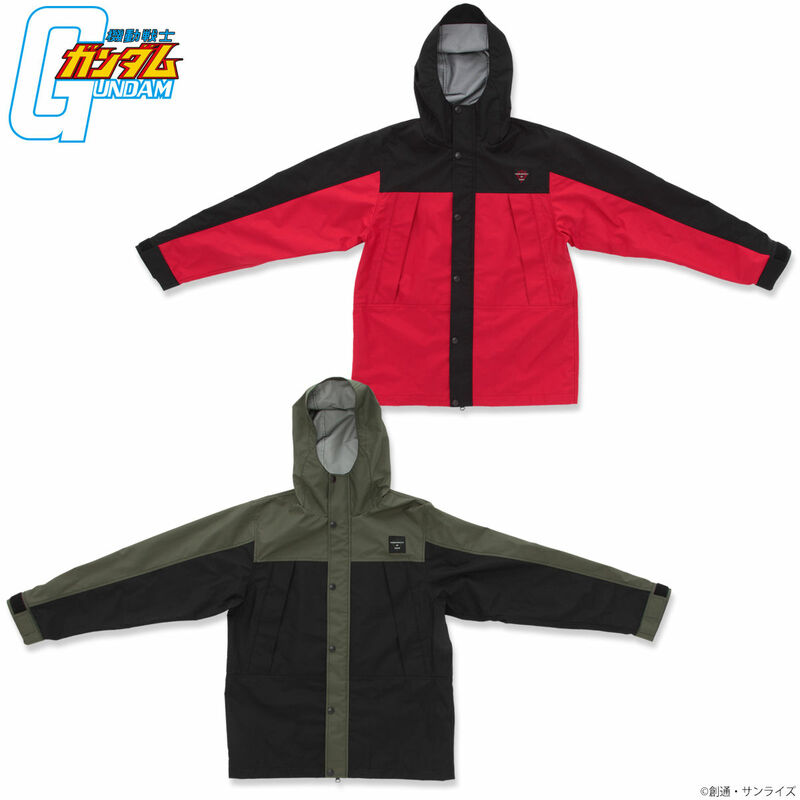 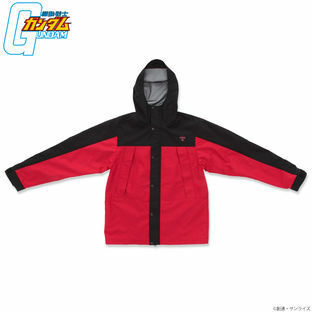 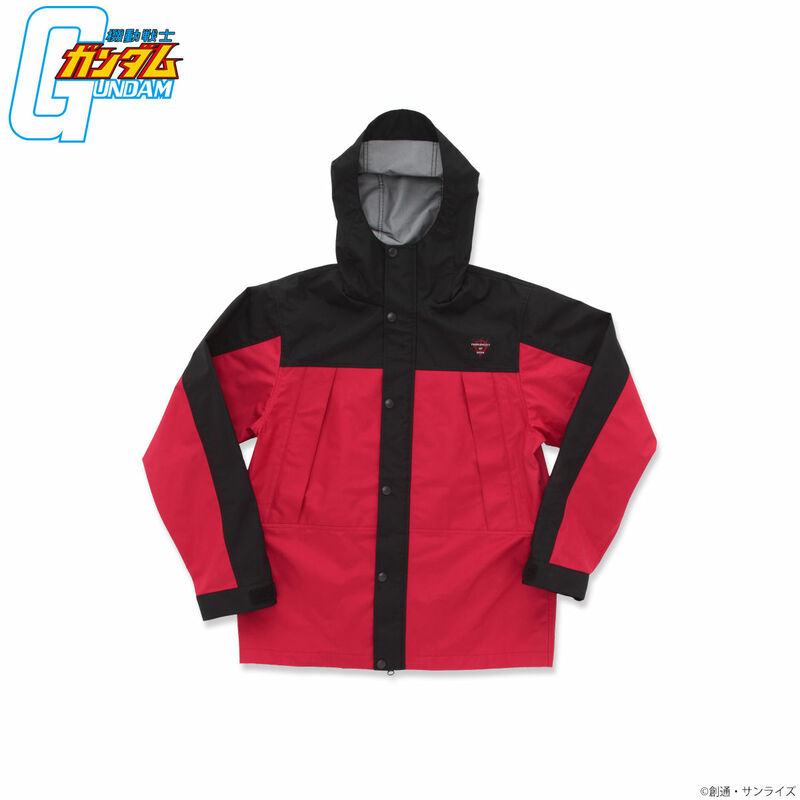 This is Mobile Suit Gundam MOUNTAIN HOODIE. 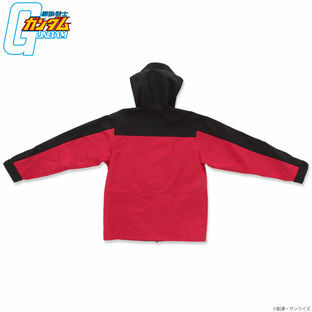 And it is the best material to make this MOUNTAIN HOODIE. 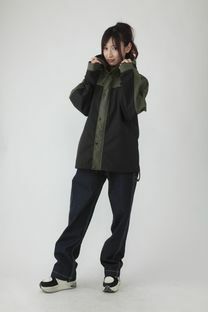 Not only a waterproof outer layer.It can also get moisture out of the hoodie.It is really a high functional material. Two colors desginRed and Khaki are also go with Black . 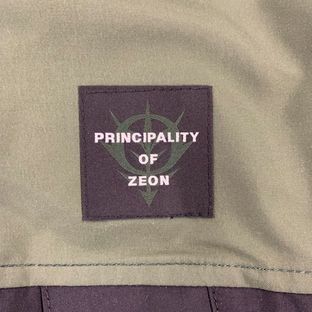 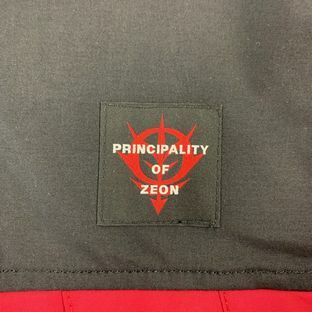 We combine the words and symbol of ＂Principality of Zeon＂together to make it as a new symbol.And the new symbol is on the left chest . 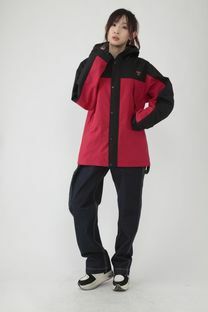 Two pockets are big enough for putting in or taking out something easily.And the zipper can prevent anything dropping down from the pockets.